The Trump International Hotel held a "soft opening" of the luxury hotel on Sept. 12 and the grand opening ceremony Oct. 26. WASHINGTON — The luxury hotel Donald Trump has built in an iconic downtown D.C. building is now open. 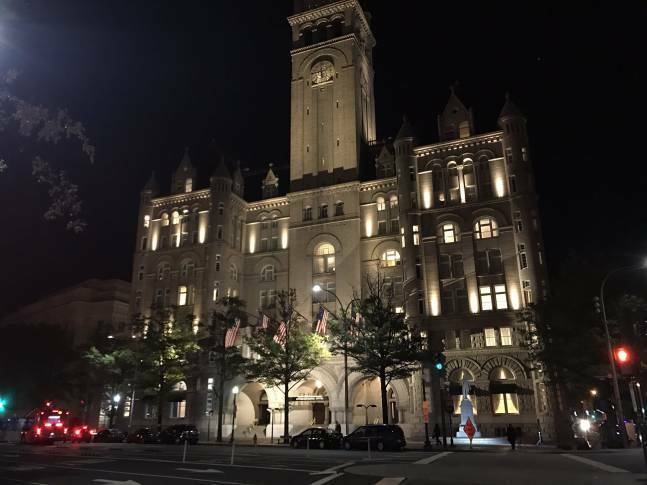 The Trump International Hotel held a “soft opening” on Sept. 12; the grand opening ceremony was Oct. 26. The Trump Organization won a 60-year lease from the federal government in 2012 to transform the Old Post Office building into a hotel. See photos of the luxury amenities inside and some of the controversy outside the hotel as protesters descended on the hotel for the opening.